Mohamed Salah scored the 50th goal of his Premier League career in Liverpool's 4-3 win against Crystal Palace, but what was his best strike? Have your say by voting below. 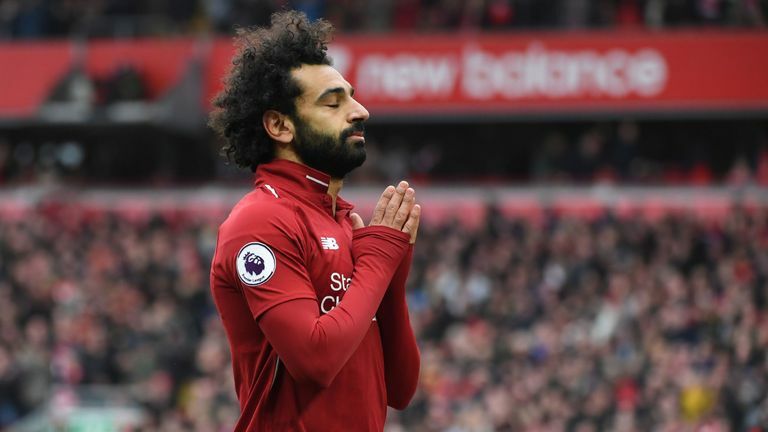 The Egypt international has been a sensation in front of goal since moving to Anfield from Roma in the summer of 2017, bringing up his half century on Saturday. There have been some breathtaking efforts from Salah - who also scored twice in the top flight for Chelsea in the 2013/14 season - since his arrival on Merseyside and we have picked out five goals that really caught the eye. Stoke v Liverpool, Nov 2017: Salah's stinging far-post volley seals the points for the visitors at the bet365 Stadium.